RNS510 1T0035680P HW: H10 SW: 5238 with key code. 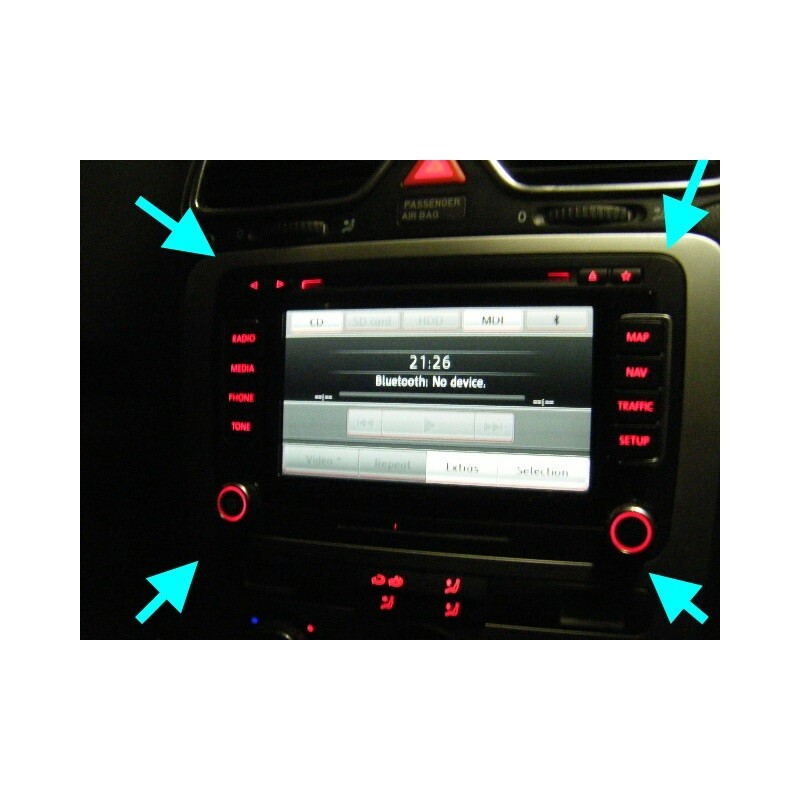 The RNS-510 is the Genuine Vw High End Multimedia System, it comes with a 7" LED High definition display, Sat Nav, DAB Radio, CD Player, DVD Player, SD Card Reader (32GIG) and Hard Drive (40GIG). The hard drive is used for MP3s, Maps and Points of Interest. You can also load personal points of interest such as speed camera's etc. 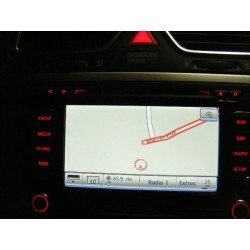 All units we supply are Brand New and come with the latest firmware, Maps and speed camera database. The system includes the Maps for Western Europe and TMC for traffic avoidance. 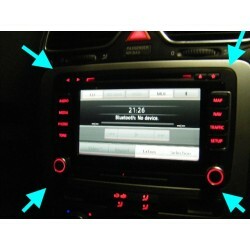 All parts are professional installed and we always use the Genuine Vw DAB aerial for this installation. The RNS-510 fully integrates into the vehicles CAN system and will operate as per factory fit once installed. This means any original Vw systems will fully integrate into the RNS-510. This includes optical parking sensors, Climate Control, Bluetooth, MDI Kit, MFSW, Highline DIS, Reverse Camera and Tv tuner. * Bluetooth Handsfree including Bluetooth Audio Streaming. * MDI iPod and USB Kit. * Reverse Camera (vehicle specific please email us for a quote). * Optical Parking Sensors. (vehicle specific please email us for a quote). * Voice Control for RNS-510. * Video in Motion for DVD Player. (For passenger use only). * Highline DIS (Vehicle specific please email us for a quote). * Multifunction Steering Wheel (Vehicle specific please email us for a quote). * CAN Gateway Upgrade (Required for Models before 2008). Note: Models before 2008 require a CAN gateway upgrade to prevent battery drain. Please Select this option below. All existing vehicle systems such as Bluetooth, MFSW, DIS, Reverse Camera, MDI iPod kit, Climate Control display etc will operate exactly as they do prior to installation of the RNS-510. Note: When upgrading from an RNS-315 you may require a Bluetooth upgrade, this is due to the bluetooth kit being built into the RNS-315 unit, whereas on the RNS-510 it requires a separate control module for this function.